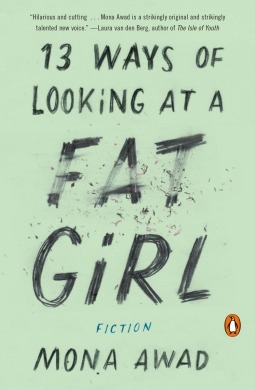 I really enjoyed reading 13 Ways of Looking at a Fat Girl because I empathized with Lizzie. Struggling with weight in a society that won’t accept you if you aren’t skinny is difficult. It affects you mentally and physically. The book is an eye opener- you need to be comfortable in whatever body type you have. And if you are heavier and lose weight, your thought mentality won’t change just because you lost that weight; you’ll always be worried about getting fat again… like Lizzie does. Reading through this I definitely understood the thoughts Lizzie has- trying on clothes is the worst experience, nothing fits right, she has a difficult time looking at and talking about her body, and she has a lot of insecurities with guys because of her weight. The ending wasn’t my favorite, but it makes sense. As a women, I believe we need to accept our bodies and while Lizzie may not ever accept her body, she understands that this is only body she has, therefore she needs to take care of it. Mona Awad takes a deep look at the character’s flaws and insecurities, and should be a must read for all women whether you are skinny, fat, short, tall, etc. It is reflective of our current society and something we need to change. This book will be released on February 26, 2016. And is available at Amazon and B&N. Disclaimer: Thank you First to Read and Penguin Random House for providing the opportunity to read this ARC in exchange for an honest review. Receiving this book for free does not influence my opinion. I wanted to like this book, so much. That is an empirical statement. I have read Heather Lyons’ other books- The Fate Series, The Collector’s Society, The Deep End of the Ocean. Each one was just as fascinating as the previous. She kept me enthralled, was able to tear my emotions apart. However, the Royal Marriage Market was less than spectacular. Actually, it fell short… like really short. First, I got stuck on Elsa’s name. Maybe it wasn’t an intentional use of the name. Maybe that is just the character’s name? I understand this. BUT! Disney has a Queen Elsa, who is Scandinavian. I might be dramatic because my eye twitched. And of course all I saw was this blonde haired ice queen. But given that her full name is Elsa Victoria Evelyn Sofia Marie, could we have it mixed up? Give Elsa a different first name and she still be the same person? Probably. Speaking of names, the countries names! WHAT? I didn’t get them. They sound so fake. Doing research, Aiboland is a real thing… but Vattenguldia, nope it’s not (that I am aware of). Second, it felt too wordy. Every statement Christian or Elsa made was followed with descriptors, upon descriptors, until I was to the point where I wanted to go read a children’s book for simply structured sentences. There were no back and forth conversations like you would normally see. Everything was prefaced with the POV of that character. And, maybe I missed them, but I didn’t read any descriptions of the characters. Maybe they were wrapped up in the complex sentence structures I had a hard time getting around. The characters themselves felt one dimensional. Christian and Elsa didn’t want to be part of the RMM. They wanted to make their own choices. Their parents were the same- arranged marriage and you’ll do as I say or face the consequences! There was no real differentiation between each character’s voice, other than being told who is talking at the beginning of each section. And the action, or the juicy details, didn’t even make their presence known until 60% into the book. At that point, I just wanted to be finished. That being said, I did enjoy the last 40% of the book. I liked the interactions Christian and his brother, Lukas, had. You could feel the sibling love (unlike Elsa and Isabelle). I appreciated Charlotte and Parker (Elsa and Christian’s personal secretaries). 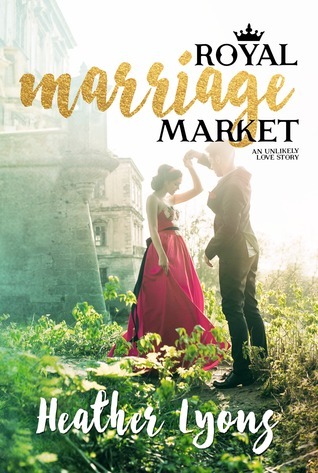 The Royal Marriage Market wasn’t a complete misadventure, but it wasn’t Lyons’ best work. How do I start this… It’s been several days and my feelings are still mixed. Let’s start of with my favorite character. Lukas. Every time he appears in the story, he makes it that much better. He is funny, real, and a great brother. His relationship with Christian is one of the best sibling relationships I’ve read in 2015. I guess it is time to talk about my ‘mixed’ feelings. RMM is enjoyable. Once the story picked up, it was a breeze to read. Before that though… I questioned whether this was the book for me. It wasn’t the royal or romance side, but the writing itself. At times I was a little lost. At times it was hard for me to get through some sentences. I’m being lenient on that though because I was reading an ARC and not the finished product. I both love and hate Elsa and Christian’s relationship. I like that they started of as friends, but disliked I was able to predict how it would go. I’m not saying everything that happened was predictable because Lyons threw me for a loop twice, but the ending was exactly as I thought it would end. I did like that the story did not end at the end of the RMM. I loved that the story continued into weeks and months to come. I do wish I’d gotten more of Charlotte, and Elsa’s relationship with her father when she was younger. It would have been nice to see and not told. Overall, if you are a fan of romance, I do think you will like this. 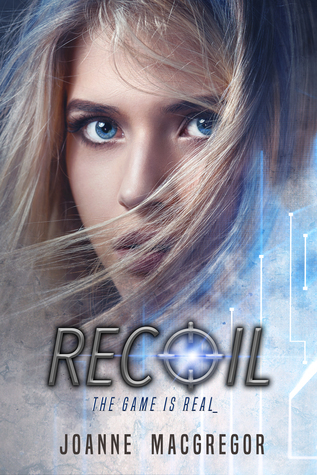 Disclaimer: Thank you KP Simmon at InkSlinger PR and Heather Lyons for giving Veronica and I the opportunity to read this ARC in exchange for an honest review. Receiving this book for free does not influence my opinion. For some reason all I can think of right now is the sugar cubes Finnick eats in Catching Fire. The Trouble with Destiny is a sweet, crunchy sugar cube. If it were a stuffed animal, I would squeeze it so hard because of all the feels it gave me. Alright let’s begin. Liza is stressed, frazzled and has a one-track mind. All she can’t think is “Save The Band From Funding Cuts!” The band is on the Destiny for that very reason, The competition taking place on the Destiny that can give them the money they need so that the school can keep the band for another year. That is if they win of course. 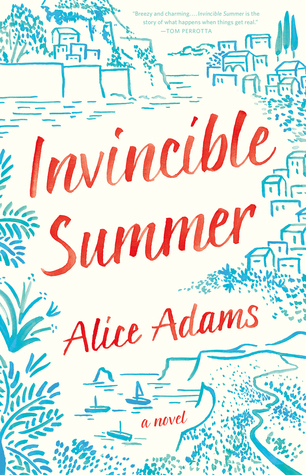 The entire trip she experiences, sabotages, misunderstandings, a broken heart, and hope. What I really like that Lauren Morrill did is that in a fun way, TTwD shows the reality any schools are facing today. Public schools around the country are being forced to close the art and music departments due to funding cuts, just like Liza’s school is facing. It is a sad reality, one that seems will not be disappearing anytime soon. TTwD also focuses on friendships. A big focus of Liza’s and Demi’s. Liza and Demi were best friends when they were young but one day it all fell apart when Liza was done being Demi’s twin. Both girls are enemies for most of the novel until they have a heart to heart and what really happened is said and moth make amends. I really liked seeing a good friendship gone bad, become something more than a sour note in both of the girls’ lives. Last but not least we have Lenny. Lenny is an adorable teddy bear. At first, I was fooled. He seemed a little bit like the stereotypical air-head jock, but he is a lot more than he seems. Lenny’s actions made him seem as air-headed and annoying, but he was doing those things intentionally. Lenny’s crush made him act in a way that fit the stereotype which made everyone oblivious as to what was really happening and where his actions were coming from. The Trouble with Destiny was a breath of fresh air. It was light, fluffy, and sweet. The perfect dessert after a long day of work. Disclaimer: Thank you Random House Children’s Books for giving me the opportunity to read this book for free in exchange for an honest review. Receiving this book for free does not sway my opinion.